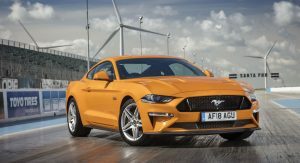 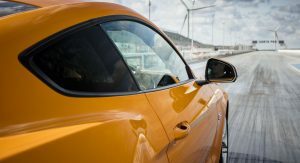 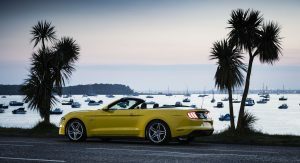 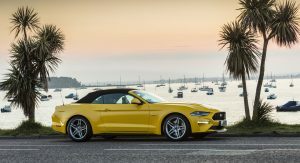 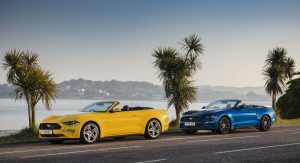 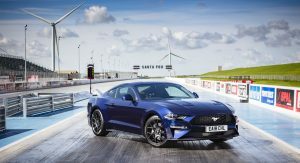 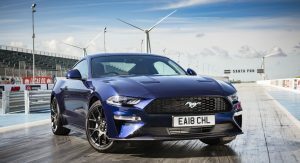 UK buyers will be treated to an enhanced driving experience from behind the wheel of their Ford Mustangs, as the world’s best-selling sports coupe has received a number of upgrades. 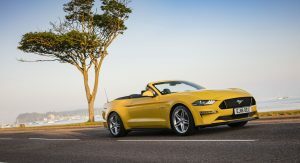 For starters, there’s a new Active Valve Performance Exhaust system that’s now available on 2.3-liter EcoBoost variants. 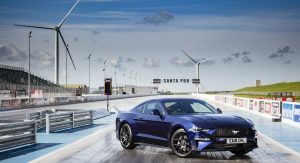 Previously, you could only get this tech on 5.0-liter V8 models, which by the way now feature the Bullitt’s new rev-matching technology. 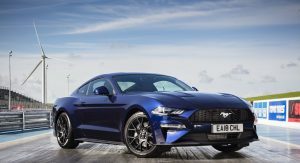 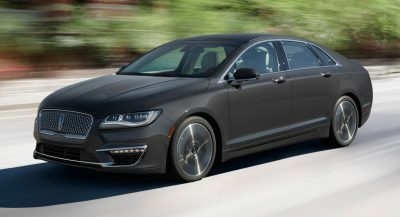 Other novelties include the B&O PLAY premium sound system with its 1,000 watts and 12 speakers, as well as vintage colors, which include Velocity Blue and Need for Green – joining the special edition Bullitt Dark Highland Green. 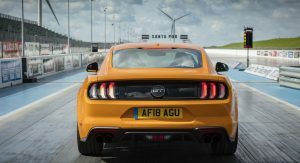 Drivers can adjust their Active Valve Performance Exhaust settings using the Mustang’s drive modes – Normal, Sport, Track, Snow/Wet, Drag Strip, My Mode. 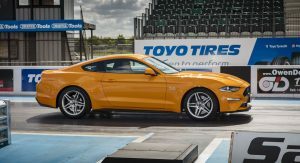 A Quiet Mode option can also be programmed to limit the exhaust note’s noise output at certain times of the day. 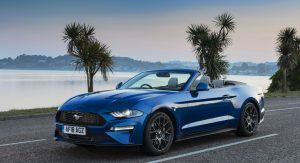 Take the 450 PS 5.0-liter V8 of a spin and you’ll notice how the rev-matching technology will “blip” the throttle as you downshift, matching engine rotation speed to that of the selected gear. 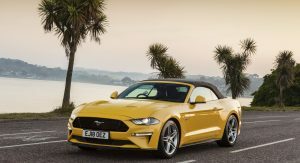 As for the new sound system, audiophiles will be keen to know that it uses a dual-voice coil subwoofer, leading to a “deep, crisp bass”. 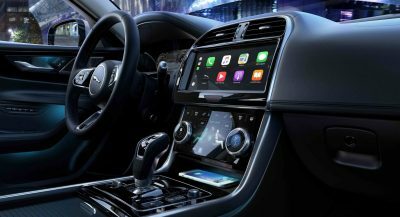 Meanwhile, the high-performance three-way front door speakers allow for an even sound distribution throughout the cabin. 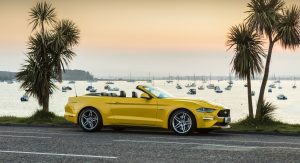 Now the European motoring community can emulate the North American Mustang Magotry. 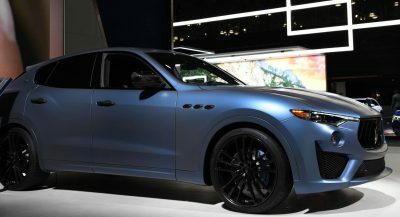 Looks great in dark blue, however the amount of functional ventilation on the front grille mesh looks kinda depressing though. 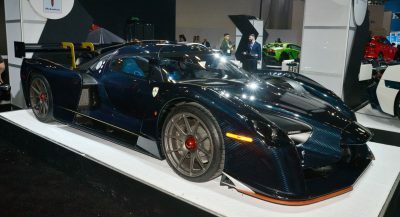 What a phenomenal car. 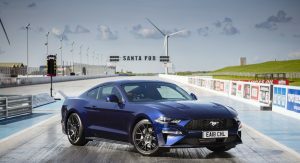 Unbelievable performance and value. 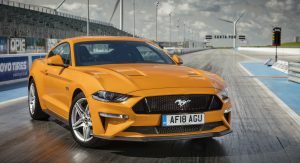 They can keep the yellow and blue, but the orange is really nice. 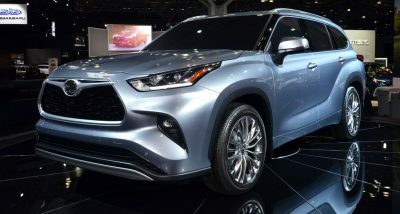 I think we already get that color though, or something close to it. 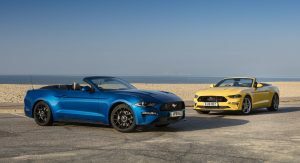 Mustang has evolved to such a beautiful sports car on the outside. 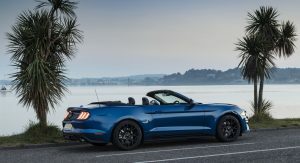 All Ford needs to do is finally bring that interior up to spec with other $50k cars. 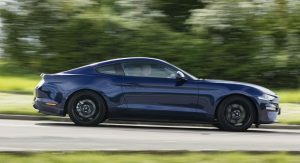 At that price its a requirement, at least for the GT in higher trims. 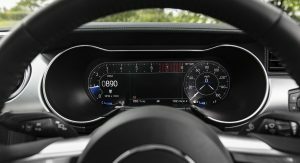 Some hard plastics, switches and knobs feel like they belong in a $10k economy car (fine for the base model though). 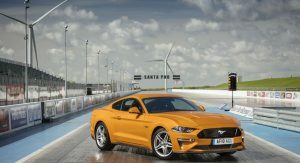 Also, to nitpick, a 10% weight reduction would do wonders in every possible way too, at the very least for PP2 and perhaps GT350 high performance models, and definitely out of the nose. 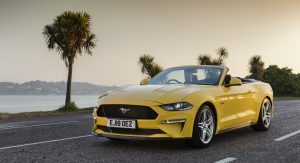 Lets finally get this beauty to 50/50 or as close as possible!